In the United States securities industry, arbitration has long been the preferred method of resolving disputes between brokerage firms, and between firms and their customers. The securities industry uses a pre-dispute arbitration agreement, where the parties agree to arbitrate their disputes before any such dispute arises. Those agreements were upheld by the United States Supreme Court in Shearson v. MacMahon, 482 U.S. 220 (1987) and today nearly all disputes involving brokerage firms are resolved in arbitration. Securities class action claims, however, are not arbitrable. The process operates under its own rules, and is described in an article Introduction to Securities Arbitration. 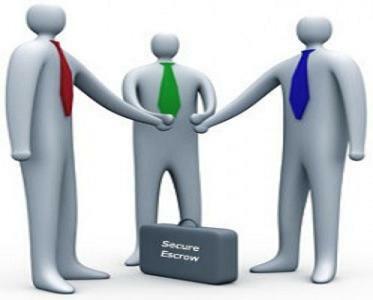 Securities arbitrations are held primarily by the Financial Industry Regulatory Authority ("FINRA"). Some state court systems have promulgated court-ordered arbitration; family law (particularly child custody) is the most prominent example. Judicial arbitration is often merely advisory dispute resolution technique, serving as the first step toward resolution, but not binding either side and allowing for trial de novo. Litigation attorneys present their side of the case to an independent teritary lawyer, who issues an opinion on settlement. Should the parties in question decide to continue to dispute resolution process, there can be some sanctions imposed from the initial arbitration per terms of the contract. The validity of arbitration clauses in the US is not a settled legal matter. Typically, the validity of an arbitration clause is decided by a court rather than an arbitrator. However, if the validity of the entire arbitration agreement is in dispute, then the Supreme Court of the United States case of Rent-A-Center, West, Inc. v. Jackson may apply. In that case, the court held that "under the FAA, where an agreement to arbitrate includes an agreement that the arbitrator will determine the enforceability of the agreement, if a party challenges specifically the enforceability of that particular agreement, the district court considers the challenge, but if a party challenges the enforceability of the agreement as a whole, the challenge is for the arbitrator." In other words, the law typically allows federal courts to decide these types of "gateway" or validity questions, but the Supreme Court ruled that since Jackson targeted the entire contract rather than a specific clause, the arbitrator decided the validity. Public Citizen, an advocacy organization opposed to forced arbitration, characterized the decision negatively: "the court said that companies can write their contracts so that the companies' own arbitrator decides whether it's fair to submit a case to that arbitrator." In insurance law, arbitration is complicated by the fact that insurance is regulated at the state level under the McCarran�Ferguson Act. From a federal perspective, however, a circuit court ruling has determined that McCarran-Ferguson requires a state statute rather than administrative interpretations. The Missouri Department of Insurance attempted to block a binding arbitration agreement under its state authority, but since this action was based only on a policy of the department and not on a state statute, the United States district court found that the Department of Insurance did not have the authority to invalidate the arbitration agreement. In AT&T Mobility v. Concepcion (2011), the Supreme Court of the United States upheld an arbitration clause in a consumer standard form contract which waived the right to a lawsuit and class action. However, this clause was relatively generous in that the business paid all fees unless the action was determined to be frivolous and a small-claims court action remained available; these types of protections are recommended for the contract to remain enforceable and not unconscionable.